Galway Crystal tankards allow you to lift your next pint of beer in true Irish style. Galway Crystal offers their crystal beer tankards with traditional Irish motifs such as the Claddagh, the Trinity knot and Celtic knots. 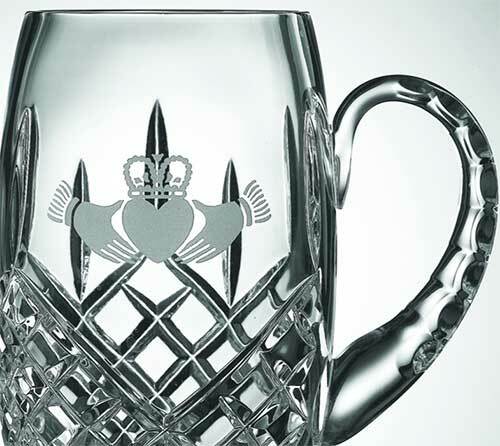 Irish tankard is cut from fine crystal that is enhanced with the Claddagh symbol. Irish tankard features fine crystal that is cut in the Longford motif. Irish tankard is cut from fine crystal that is enhanced with Celtic knot-work. 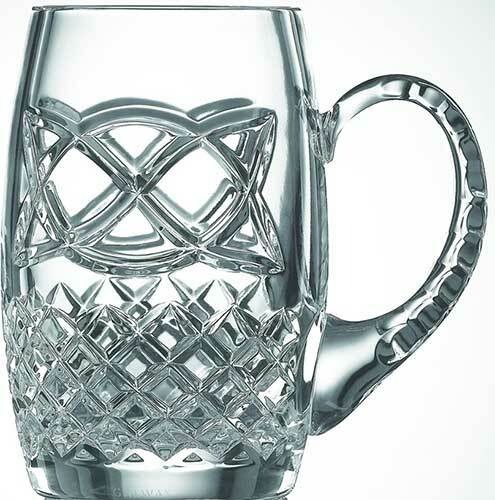 Irish tankard features fine crystal that is enhanced with an etched Trinity knot.